The installation titled ‘By Royal Appointment’ was first shown at Gallery Libby Sellers, what is ed South Kensington. Waldemeyer establishes a dazzling dialogue between fashion and contemporary furniture design in his latest project, visit By Royal Appointment – a revolutionary chair that reads the colour of your outfit and projects your own personal aura of light into the space around yourself. The inspiration for this project came from his work with fashion designer Hussein Chalayan for whom he constructed dresses of shimmering LED light displays. 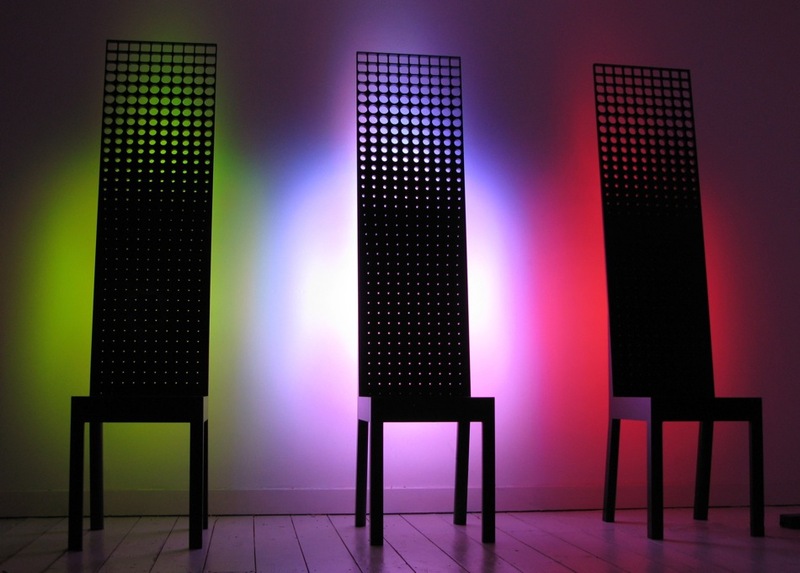 His new creation is a piece of furniture that interacts with what you wear changing the atmosphere and space around it. 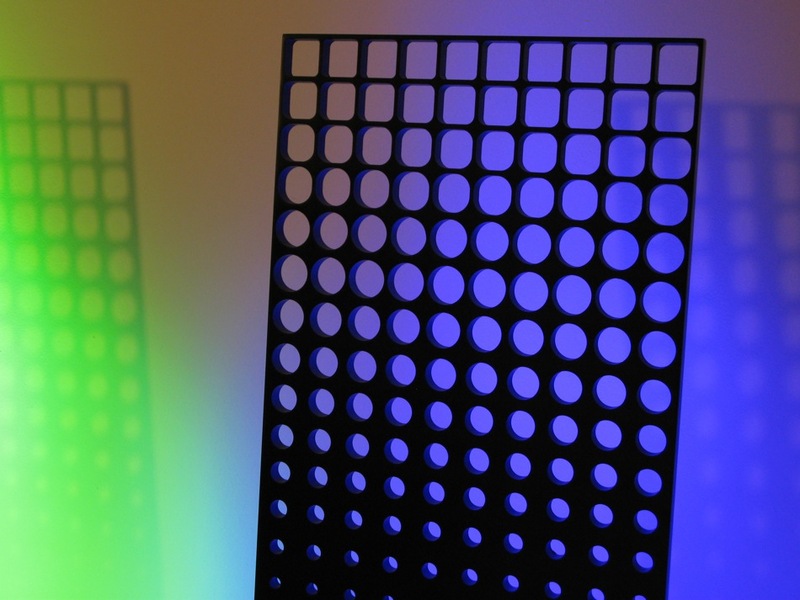 A sensor in the back of the chair reads the colour of the clothing and projects it on to the surface behind using LED lighting. This gives the individual sitting on it their own halo of light, evoking images of religious icons and kings. The shape of his new chair evokes the design of medieval thrones. 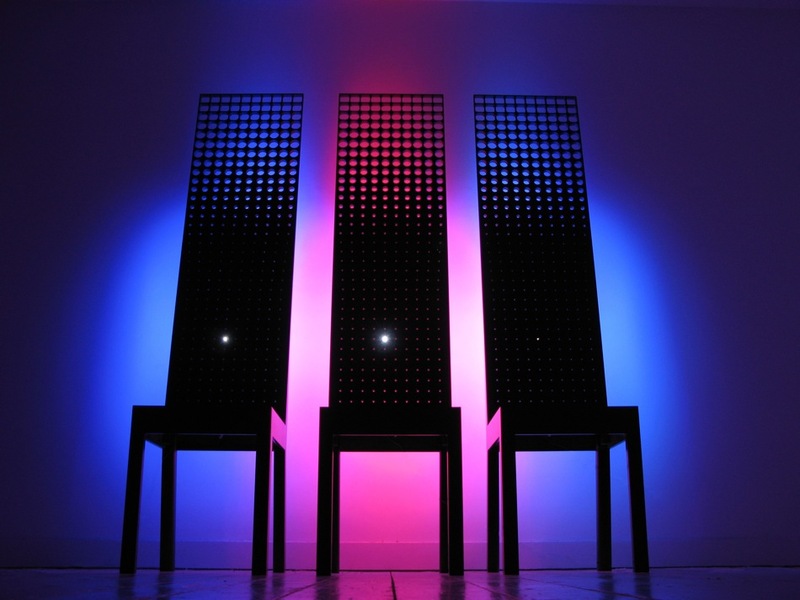 Whomever sits in the chair becomes the focus of attention, as they are surrounded by a projection of light, as if it was emulating their personal aura. The holes in the chair gradually increase in size, paradoxically making the design seem solid while also insubstantial, as though it might dissolve into the air. Strange and surreal, witty yet also spiritual, this is one of Waldemeyer’s most arresting projects yet. This entry was posted on Wednesday, September 26th, 2007 at 12:59 pm. It is filed under ALL PROJECTS, LIGHT DESIGN, PRODUCT DESIGN. You can follow any responses to this entry through the RSS 2.0 feed.